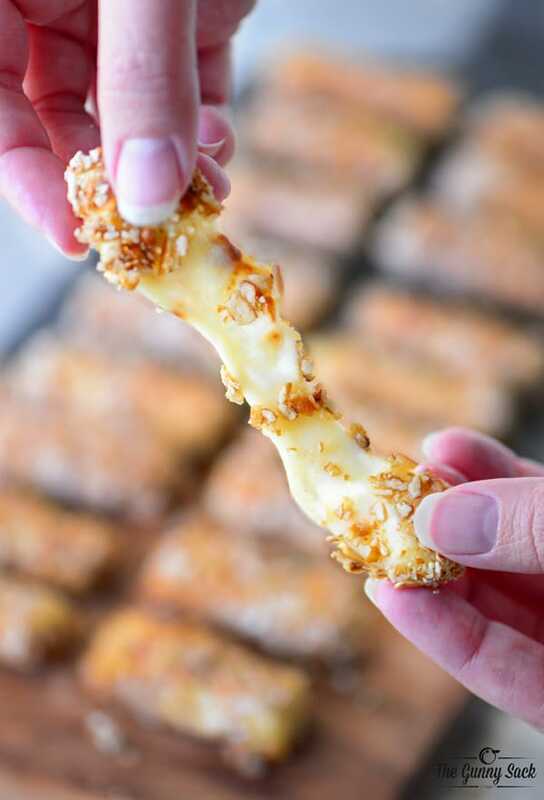 Pretzel Crusted Mozzarella Cheese Sticks are great for parties and after-school snacks. The cheese and pretzel combo makes this appetizer recipe irresistible! My family is always in the mood for mozzarella cheese sticks. Whenever we go out to eat, we HAVE to order them as an appetizer. 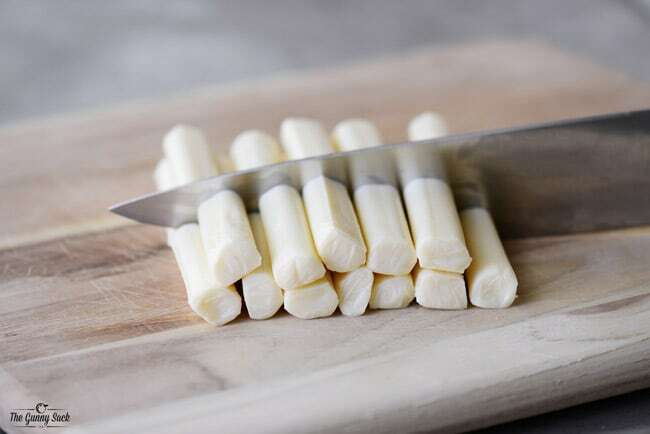 When we are at home, my kids like to heat mozzarella string cheese sticks in the microwave until they melt and start to brown along the edges. I’ve previously shared recipes for baked mozzarella cheese sticks, buffalo ranch mozzarella sticks, and bacon mozzarella sticks. Today I’m going with a crunchy, salty coating of crushed pretzels on the mozzarella cheese sticks. 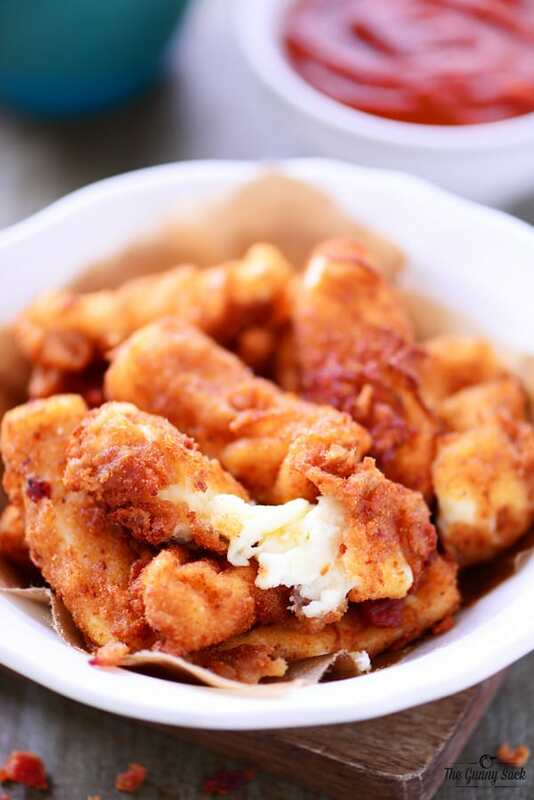 Cut twelve mozzarella cheese sticks in half. 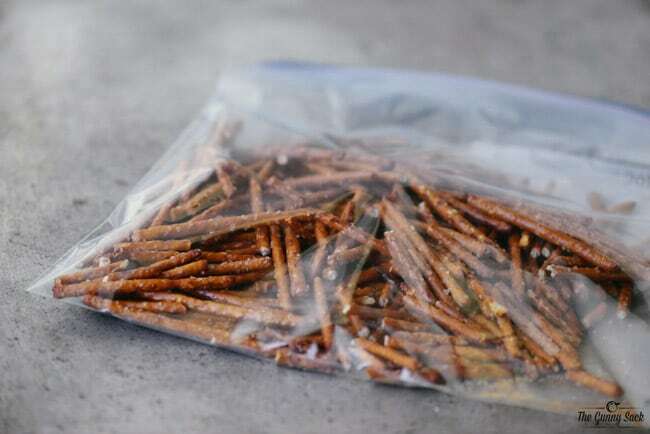 Crush enough pretzels to make one cup using a food processor or put them in a gallon sized plastic bag and crush them with a rolling pin. 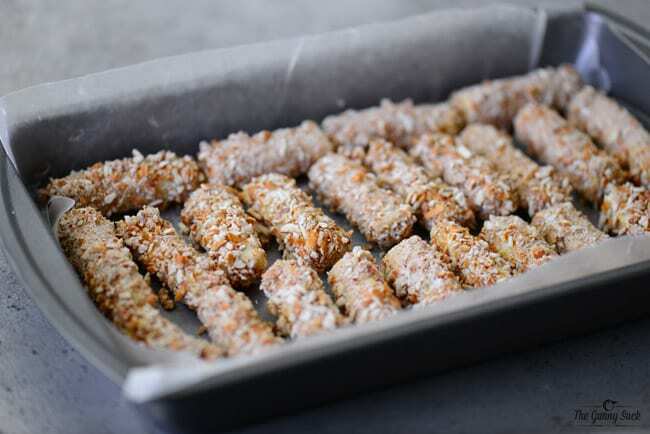 For this post, I used salted pretzel sticks but it would be fun to try cheddar pretzels or garlic and parmesan pretzels for a different flavor. 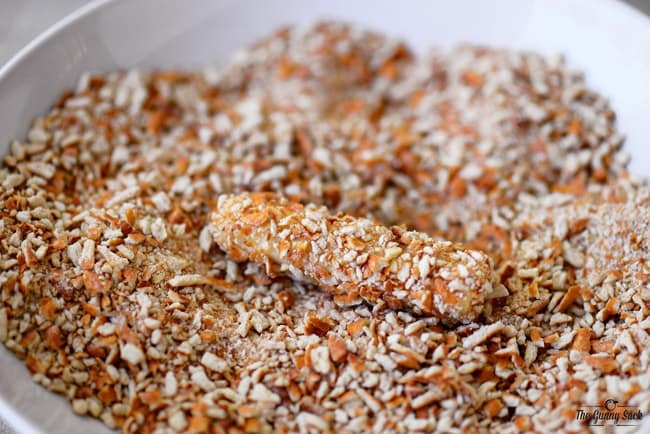 Coat cheese sticks with flour, dip in egg mixture and coat with crushed pretzels. Place in a pan and freeze for 30 minutes. Move to a baking sheet, drizzle with melted butter and bake at 400° for 7-9 minutes. 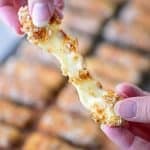 These Pretzel Crusted Mozzarella Cheese Sticks can be made ahead of time and kept in the freezer until ready to bake. 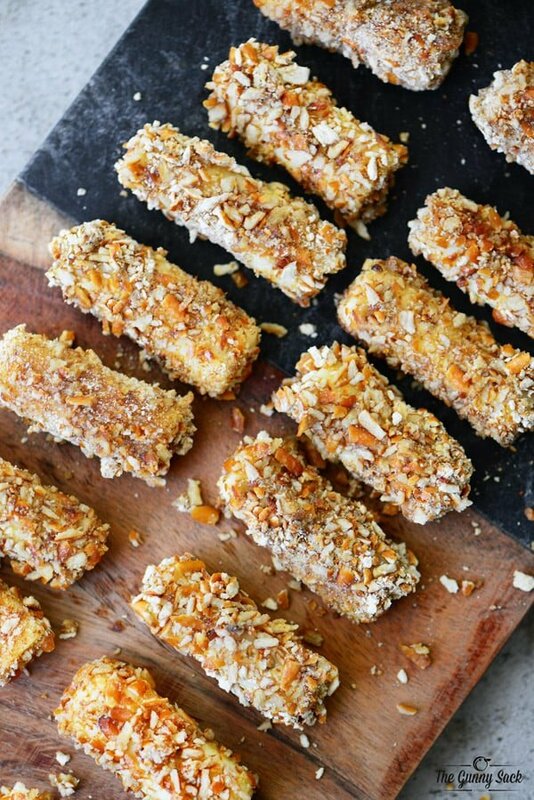 Warm, melted, gooey cheese covered with crunchy, salty pretzels! The combination is irresistible. Cut the mozzarella cheese sticks in half. Beat the eggs with the two tablespoons of milk. 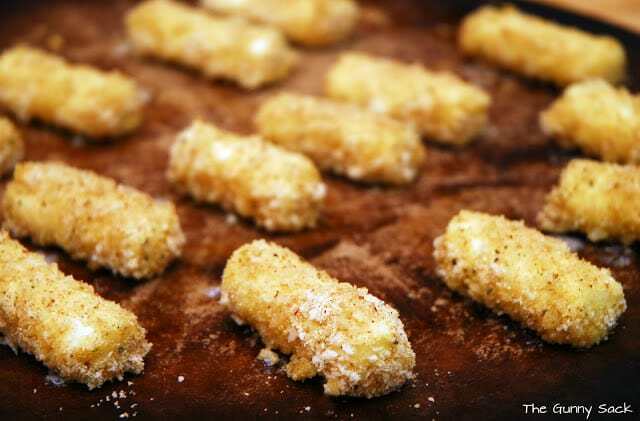 Coat the cheese sticks in flour, dip in the egg mixture and coat with crushed pretzels. 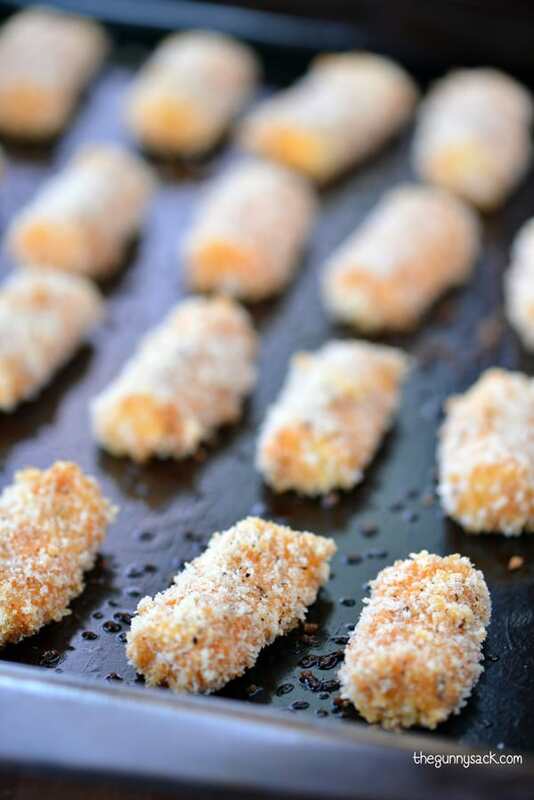 Put the coated cheese sticks in a pan and freeze for 30 minutes. Remove from the freezer, place on a baking sheet and drizzle with melted butter.